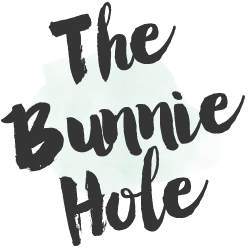 Excitement is thick in the air as I'm sitting here typing out this post, in fact I've been working on this project for weeks and have been patiently documenting the steps so I can finally put together my first CRAFT & TELL project. 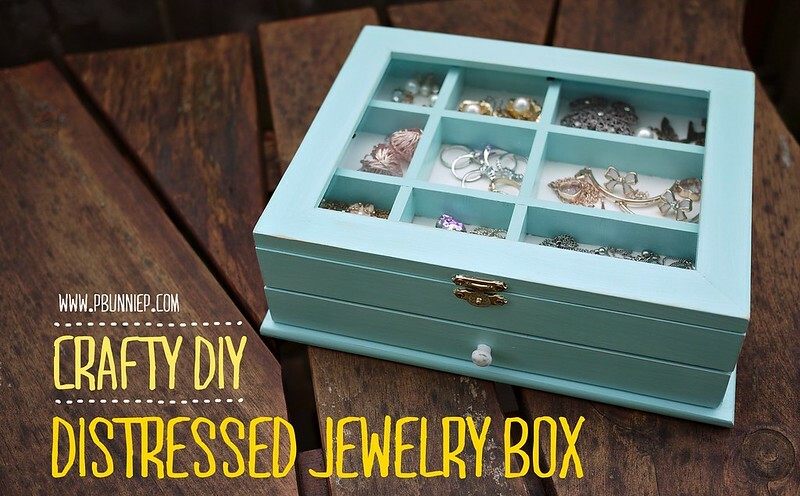 One of my 2013 goals is to get back into crafting and when I saw this precious box at Michaels I just knew it was a beautiful jewelry box just waiting to be completed! 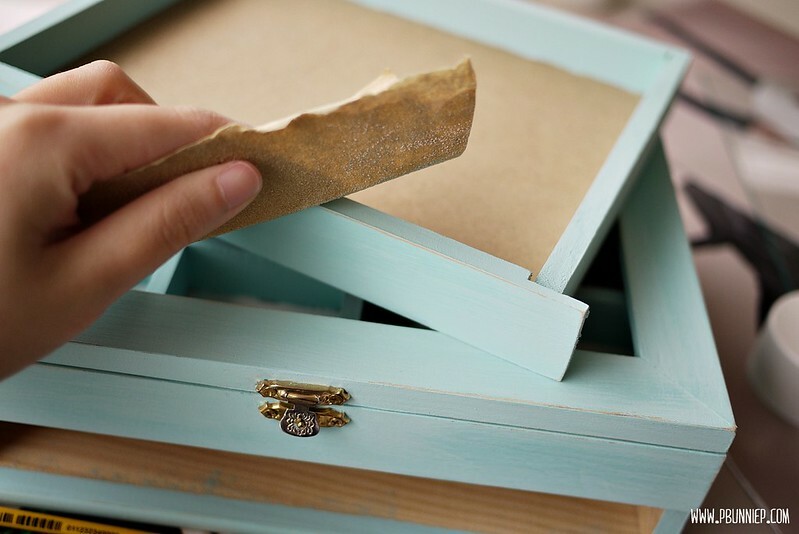 CRAFT SMART | Craft Acrylic in "Robin's Egg Blue"
Start by sanding down any rough patches on your box, many craft store wood items are very roughly put together and may even have wood spackle in places to fill in ridges or knots so sand everything until smooth to the touch. Pay special attention to splinter-prone edges. 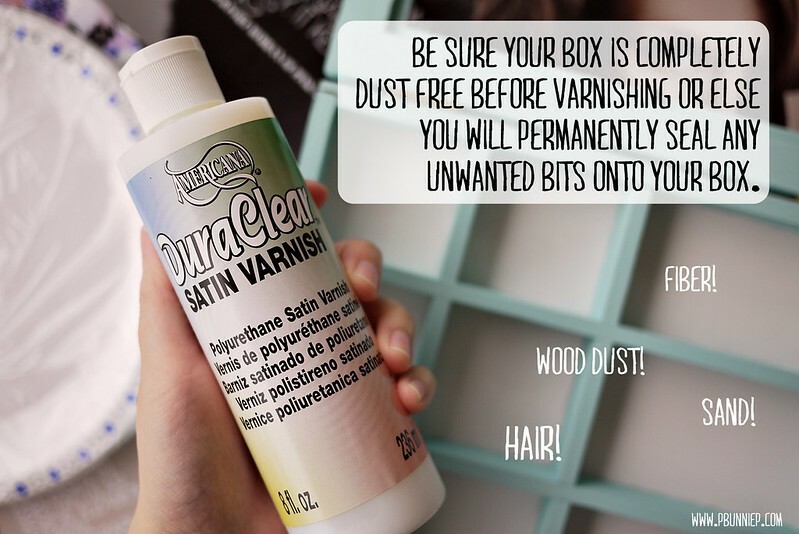 Wipe off any wood dust before the next step. 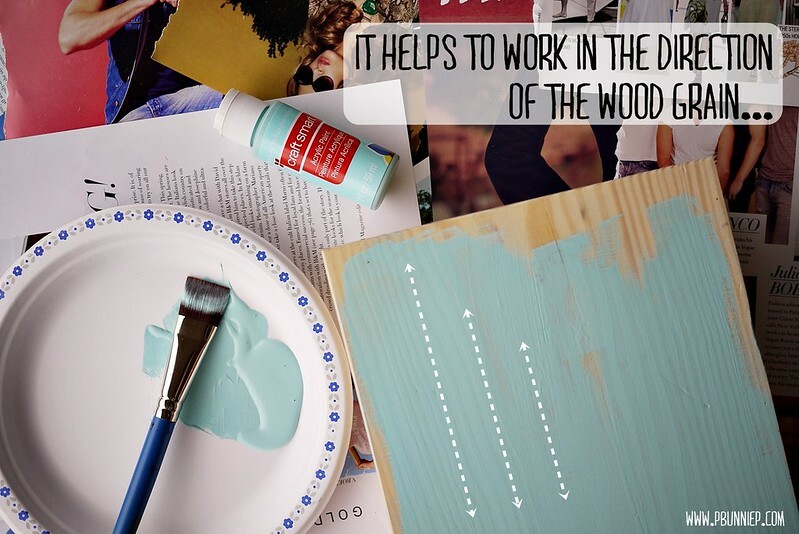 Working with the largest areas first, apply your first layer of paint, taking time to work the product into the wood. Using thinner layers helps to prevent streaking, rather than attempting to spread a thick layer. 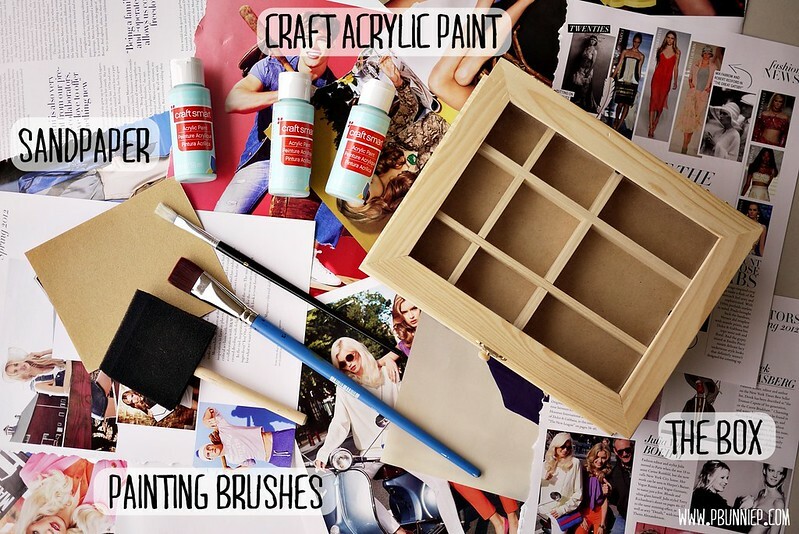 Let each layer dry to the touch thoroughly before applying a second coat. I ended up with 2-3 layers to fully cover the wood texture. Once all the layers are on, I let it dry for a few hours altogether. With the big areas done, we can move on to the smaller corners and sides. Since it was useless (and impossible) to reach the insides of the drawer level, I taped it off and painted a clean line across it. A small pointed detailing brush will really help work into corners along the dividers and for small touch ups. 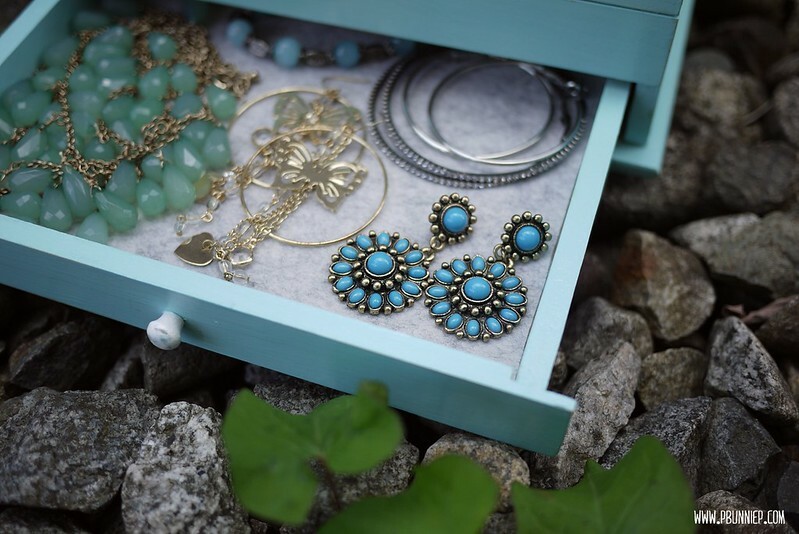 I choose to paint my interior white to contrast with the box and also bring out the jewelry. It took about 3-4 layers of paint to cover these areas and it was tricky to keep the white away from the already finished blue areas. When working along the edges, use a clean cut flat brush with just the tips dipped in paint and work in strokes starting at the edge then pulling towards the center. 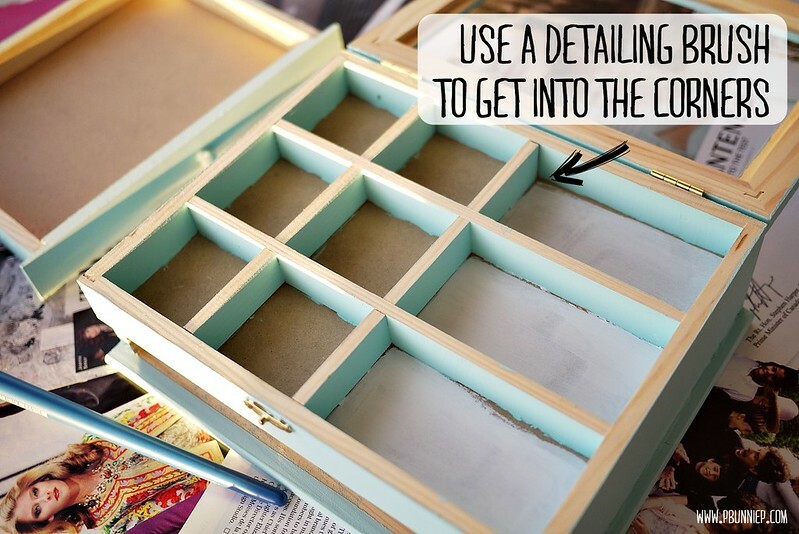 Make sure all your paint layers are absolutely dry before busting out the sandpaper to do your distressing. 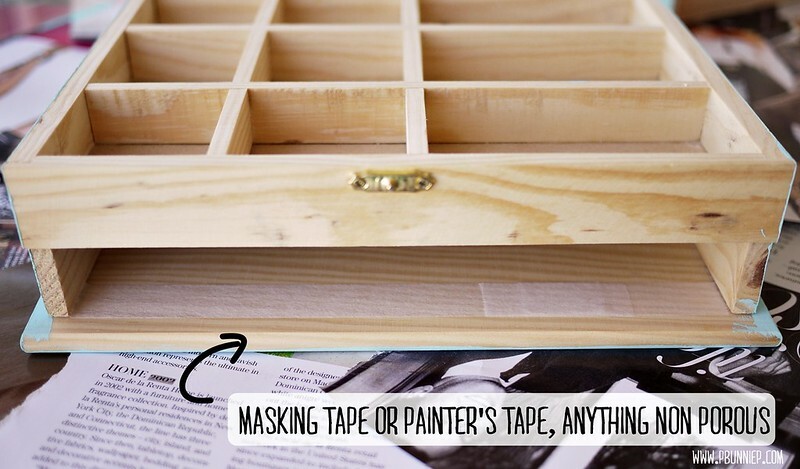 Give a little rub to where the box would naturally get worn down or touched often such as corners and edges, then add a few scratches and scrapes as you see fit. You can vary the intensity of the damage by how much pressure you exert and also the grit of your sandpaper, I only had one type in hand so I made do with it. Once you're satisfied with your roughing, it's time to seal it with a coat of protective varnish. You can buy either spray or liquid versions but I like being able to see what I'm doing and how much I put on so I went with the latter. The consistency of this particular brand is quite thin so be careful of drips, a flat wide brush partnered well with this. I also decided to fancy up the lower drawer with a felt lining which I simply tacked down onto the wood with a bit of double sided tape. This not only prevented the jewelry from sliding around but, I felt, also added another small detail to the whole piece. 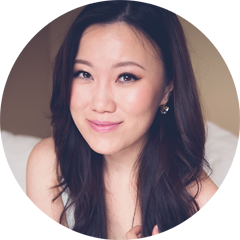 Now onto one of my favourite parts, here I am talking you through some tips and tricks on how to make this craft project a smooth process. Things to avoid, what to look out for and any blunders I encountered along the way. 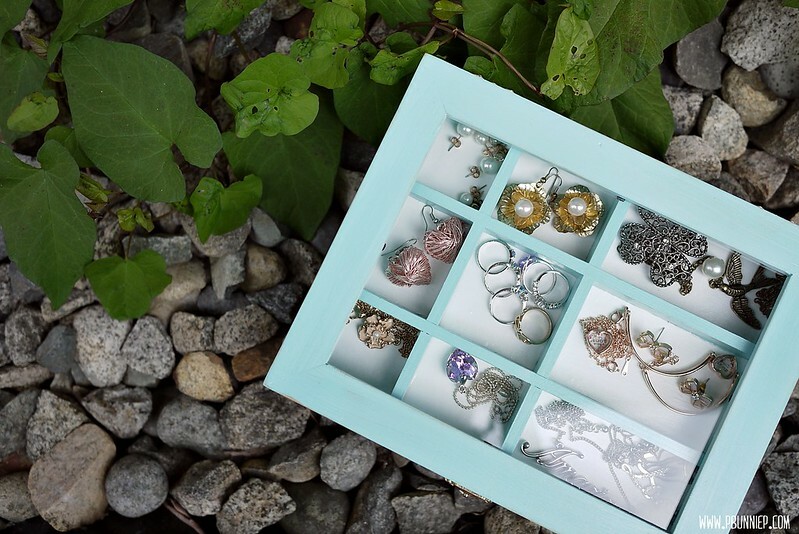 Made a nifty project of your own recently? love the blue color you picked out:) actually love that you can see the rings and earrings! Wow! That's really beautiful and creative too. I would have never looked at a plain wooden box and imagined such a pretty finished product. You make me want to go to Michaels now!